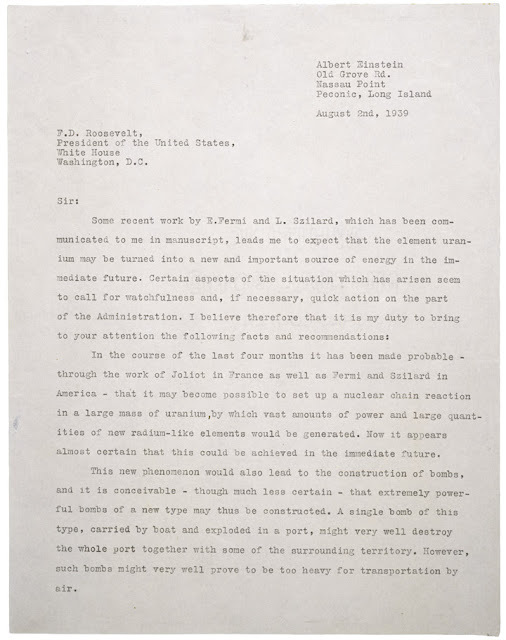 This letter, written in August of 1939, from Albert Einstein, to Franklin D. Roosevelt, expressed Einstein's concern that other governments might use a nuclear chain reaction to create a bomb. 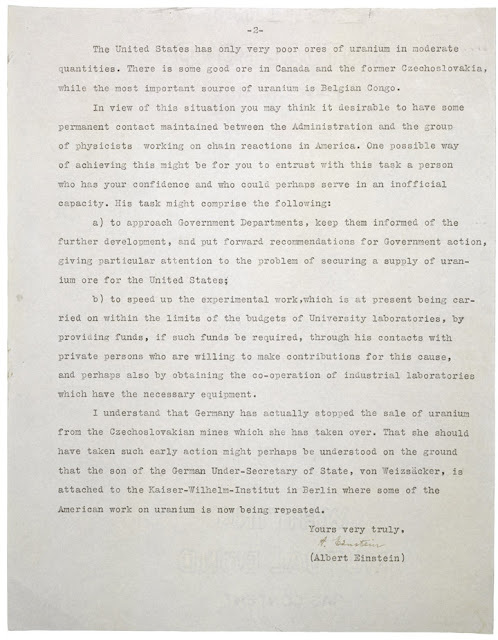 The letter was a collaboration between Einstein, Physicist Leo Szilard, and economist Alexander Sachs. The delivery of the letter was delayed by the start of the war, and didn't reach Roosevelt till October 11, 1939. The letter was delivered in person, by Sachs. 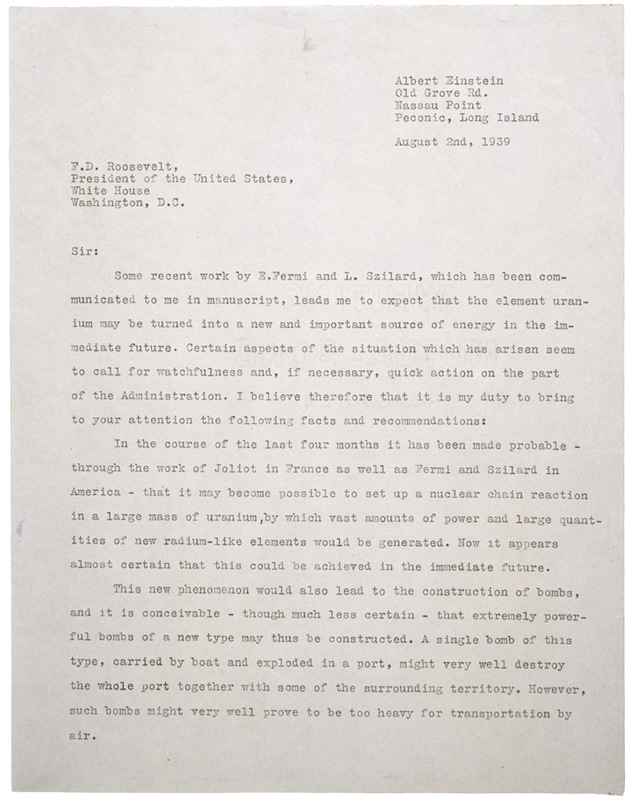 The letter is credited with the eventual creation of the Manhattan Project, and therefore, is an extremely important historical document. 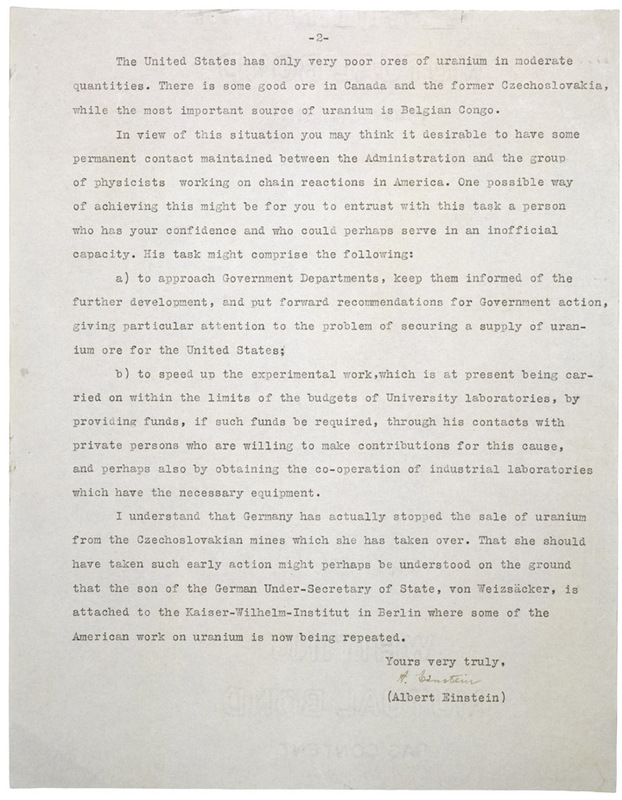 It is interesting to note that in the letter, Einstein thought that such a bomb might be to heavy to deliver by air. Click on Letter pages to see full sized.